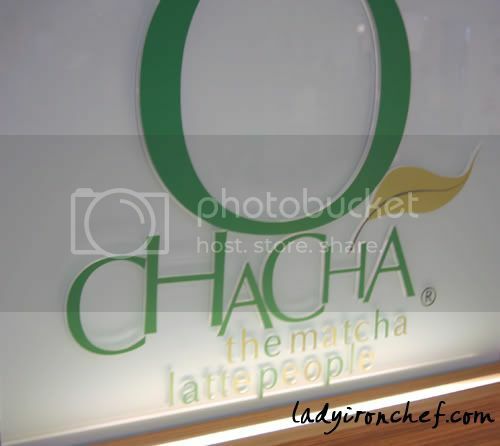 ladyironchef’s Food Event Outing at Ochacha! 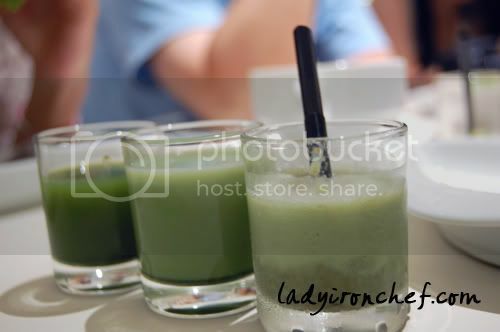 A total of 20 people graced the event, with bloggers, readers of LIC’s blog, and their friends joining us for the green tea appreciation at Ochacha. There was supposed to be more, about 15 more, but they all last minute had something on, anyway 20′s a big number, considering it’s LIC first time organising an event. Dinner was supposed to start at 730pm, but you know Singaporeans tend to come late, so we actually started the ball rolling at 8pm. 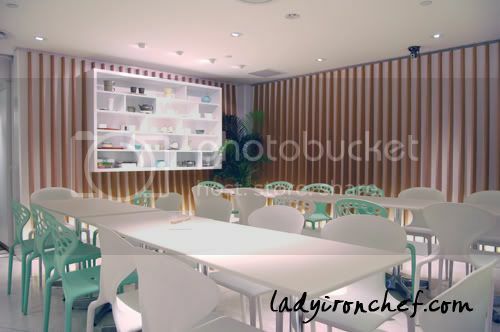 Ochacha’s boss Miss lee arranged her cafe and gave us half the space, so thankful for that. Its $17.50 per person to try the wide range of items in this menu. For all the food i’ll be putting the normal price beside it. 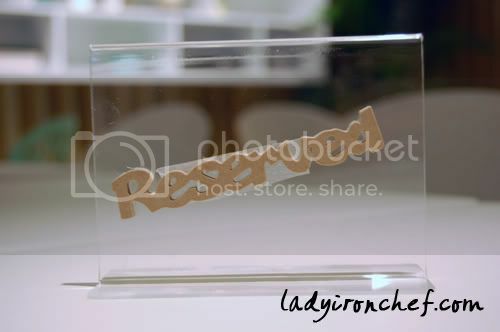 Reserved for LIC food event outing! And apparently our ladies like green tea more than guys, hence the bigger differential in the numbers. 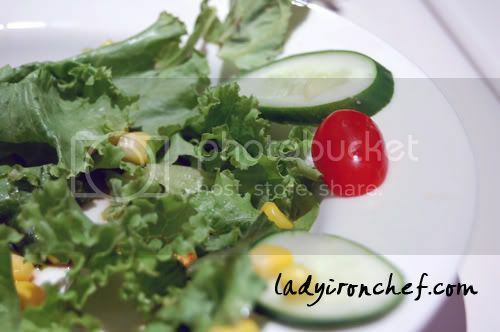 The salad was also not included in our original menu. Miss lee thought that it will be better if there are some greens to go along with. Ice blended matcha with azuki (Jap red beans). I believe the Azuki Freezie won quite a number of fan tonight, it stood out with the matcha taste on ice blend. Please be reminded that what you are seeing are shooters, not the actual size of the drinks. The prices indicated are for the normal size. 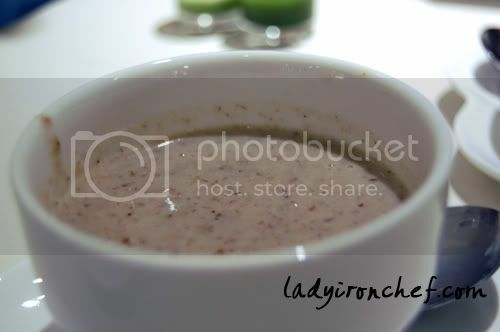 I think quite a number of people found the shiitake mushroom soup to be a tad too salty for their tastebuds. The tomato soup is more on the sweet and soup side. 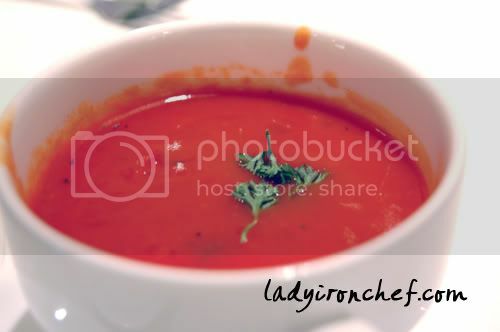 It really depends whether you are a fan of tomato and soup or not. I’m not a soup person though. 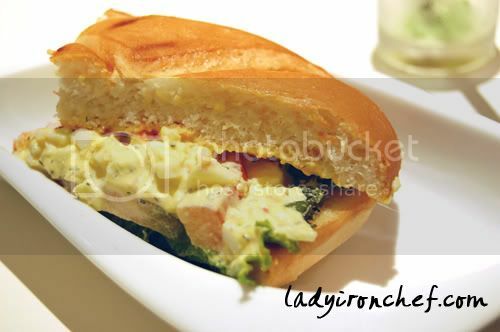 The sakura egg sandwich is still my favourite among the three sandwiches at Ochacha. See here for the picture of the normal size sandwich on my last visit. Wasabi (spicy!!) 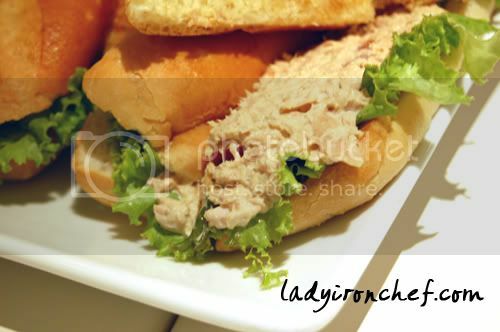 tuna mayo fills up the delicious bread. This is my first time trying this, on the previous visit i had only the egg and the salmon ones. For the wasabi tuna sandwich, i like tuna, but i don’t like wasabi. Smoked salmon with Japanese seaweed. 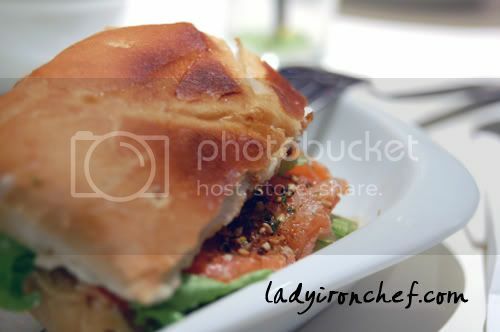 I had the Furikake Salmon sandwich on my previous visit too. The Japanese seaweed added the salty aspect to flavor the salmon, but i found it to be a tad on the salty side. French cake named after its shape like gold bar. 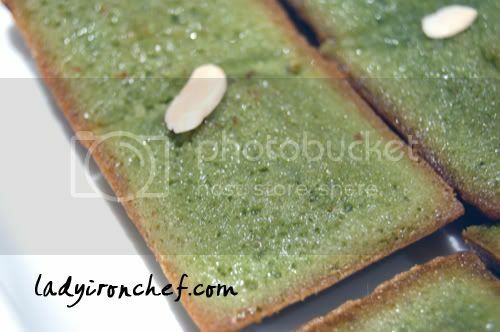 The Matcha Financier did not disappoint, but then again i could be bias as i’m totally a dessert person. Layered matcha cake with azuki beans & cream. 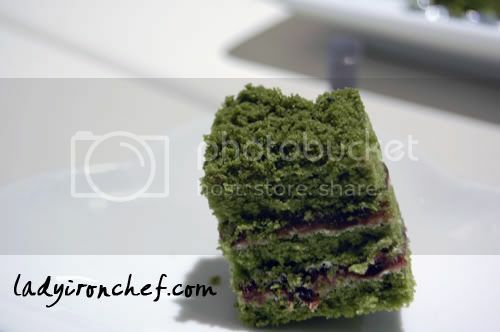 The Matcha Azuki totally rock my world, the usage of azuki red beans gave the matcha cake a sweet twist. I had this on my second visit too! Fluffy Japanese souffle cake with fresh cream in the center. 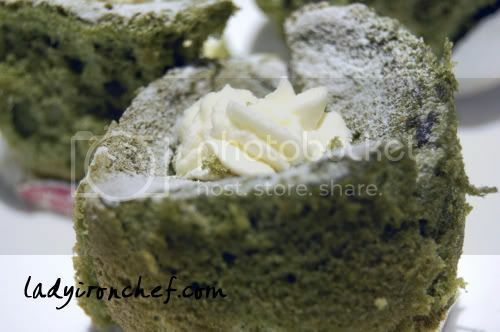 The extremly soft sponge matcha cake simply melts in the mouth! Italian creamy dessert with matcha flavor. This dessert had mixed reviews, some didn’t like it and found it to be too soft for a panna cotta, while others adored it and find the soft texture, coupled with the matcha flavor a delight to have. Again this shows that taste is subjective, what some might like, others might not like. Hot matcha latte & soy milk with matcha. We had the choice of either one for our warm green tea. Total Bill was $350 for 20 people ($17.50 fixed price for each person). For $17.50, i think its definitely a very good price as we got to try out a whole wide range of green tea, sandwiches and desserts. If you go on your own, i highly doubt that you’ll be able to have so many items unless yours are a big group. I didn’t have much tonight, mainly because as the host i need to walk around and entertained my guests, and its really stressful organizing an event. 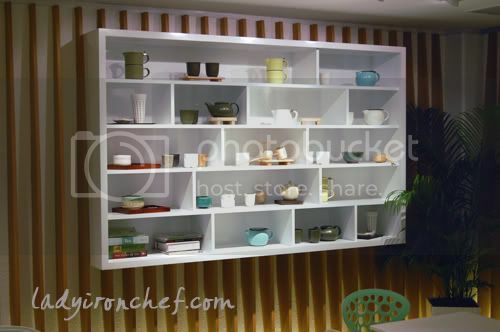 But its all right because i had most of the dishes on my previous visits. Its a real pleasure for me to organize this event, and i sincerely hope that it’s good for all the diners. Do pardon me if any of you guys did not enjoy the dinner. And no refunds please (if any)! I always believe that food is a very wonderful gift to us, it can bring like-minded people who love food together, people from different ages, background, to come together and enjoyed the good food. PS: Let me know once you guys make write your reviews on this post, will linked everyone here! Thanks to all for coming, without you guys the event will go on smoothly! hey man, the event was decent but the food serving was way too slow. Also, service had a definite need for improvement since many things were not done nicely. Food wise, it was passable but hardly fantastic. I did like the variety but the theme, which is green tea started to overwhelm near the middle. Good effort though. Hello! We enjoyed the gathering and the food Thanks for taking the initiative to organise the outing. Im sure it’s quite stressful getting all us food loving people to try a new place. I liked the match cotton best! hey Brad! enjoyed the outing loads. too bad i’ve got no photos taken. gotta borrow some from Evan for my post soon! overall, i would say i enjoyed the sandwiches the most! Food sampling is fun with all the variety and mini portions, really cute. Hehe~ but i agree smaller groups would be more cosy and can interact with everyone.. Some of your photos look blurry. I think you need to increase your shutter speed to compensate for your shaking. Heh have you started using your DSLR yet? Or still using the old camera – what was it ar? thanks for organizing and inviting! awaits for more. Cheers for having a successful event hosted! 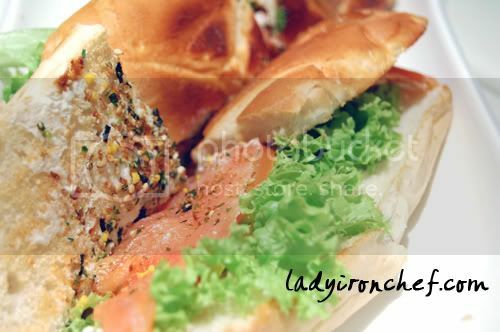 the sandwiches looks so delicious, the ideal kind of food outing that i would love to go, but too bad for me i was not in SG… next time if there’s any event similar to this do let me know! and congrats to u for hosting this successful event! 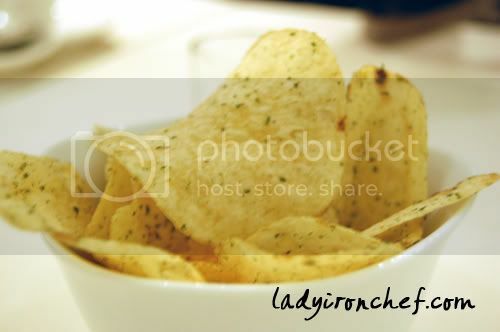 Nice, u’re like VIP in every restaurant’s list. Hello Jon: Yeah i guess the serving can be faster, will let the boss know about yr other feedbacks. Hello michelle: Yeah quite stressful but i think its worth the while! Hello Styke: Hope to see you next time! Hello jiaying: ya big groups a bit hard for everyone to mingle around, the next outing will probably be a smaller group. Hello Camemberu: Using D40 now already, but still learning how to use it. lol! Hello andy: thanks for coming, see you next time! Hello Paulkami: No problem, for first time i guess 20 quite a large crowd, see you next time! Hello FoodieGymmie: Ahh.. nvm, there will be plenty more outings to come! sure will let u know abt the next one. Mind sending me a email to [email protected] of your contacts? Wow..!! awesome meet up..! i wished i could join.. but nevermind.. i’m sure you will do one for me.. when i come home eh..
i wish i were there, as i am sipping my green tan here. haha..
and sure, i would mention about you to ms lee. she sounds like a really good lady. the other time i went past the shop, i didnt get to see her, prolly she was in the kitchen. and the menu above the counter showed nothing other than the drinks. 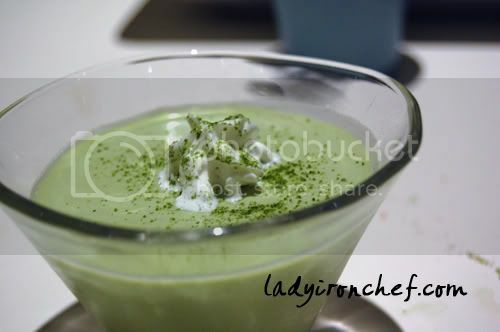 i thought i was mistaken when i remembered seeing those lovable matcha desserts in your blog. but now i am sure there are! can’t wait for my visit to try out Azuki Freezie, OChaCha Silk, Matcha Financier, Matcha Azuki, Matcha Cotton, Matcha Panna Cotta and Wasabi Tuna Sandwich! how i wish i could have them right now. haha..
sorry, it is green TEA not tan. haha..
Hello Shayna: Yeah, you must go and try all their stuff! hahaha! looks like you are already hooked. lol! Hello annie: No problem, thanks for reading my blog, will let you know when my next food outing is coming up! hey, ochacha’s raffles city outlet is now closed(now occupied by the handburger). it has shifted to #B1-25,The Paragon. Such a waste they closed down at paragon a couple years ago.